The mission of the University of Findlay College of Pharmacy is to prepare pharmacists dedicated to improving patients’ lives through practice, service, scholarship, and lifelong learning. Findlay is one of nine Pharmacy schools in the country to offer an accredited direct-entry 0+6 program! Students are accepted directly into the Pharmacy program as freshmen and continue seamlessly into the professional phases, graduating at the end of six years with a Doctor of Pharmacy (PharmD) degree. A unique peer-to-peer support system helps incoming freshmen adjust to college life. Class sizes are approximately 35 students and are taught interactively. There is a 7:1 student-faculty ratio, allowing more individualized attention with your professors. Students have opportunities to conduct undergraduate research, double-major, and study abroad. 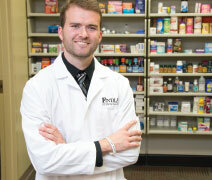 • 0+6 direct entry: Findlay is one of nine Pharmacy schools in the country to offer a 0+6 program. • Dual-degree options: At Findlay, you can earn both a PharmD and a second degree: a Master of Business Administration, a Master of Science in Health Informatics, an associate degree in Equestrian Studies, or a Bachelor of Forensic Science in six years. • Hub site model: Our experiential model sets students up for networking and job and residency placement. • Student mentors: Current Pharmacy students volunteer to be matched with an incoming freshman. This unique peer-to-peer support system helps new students adjust to college life. • 7:1 student-faculty ratio: Full-time faculty are available to help students on a daily basis. Professors know your goals and aspirations for the profession. • My First Patient: P3 students get to be their own “first patient,” while P5 students get hands-on experience by conducting a live health screening with those P3 students. The Nursing program is committed to preparing graduates with a collaborative, innovative, and experiential focus in the practice of nursing while serving as health care leaders. The Bachelor of Science in Nursing (BSN) Program builds on a foundation of knowledge in science, humanities, and related professional disciplines. There is a direct-admit admission option for a guaranteed seat in the program if you meet specific requirements. As a student, you will provide competent nursing care in skills lab, simulation, a variety of acute care hospital units, and community and public facilities. Students will learn with manikin-based high-fidelity simulators. These manikins breathe and have heart tones and palpable pulses, among other life-like functions. They simulate vital cues, providing real-time reactions and information to students. By practicing true clinical skills in a safe and regulated environment, future nurses learn permanent and excellent evaluation and treatment techniques. BSN graduates are prepared as general clinical practitioners and are eligible to sit for the National Council Licensure Examination for Registered Nurses (NCLEX) in order to obtain their RN licensure. Clinical practice begins in the sophomore year and continues for five semesters. You will have 865 hours of clinical practice by the time you complete the program. The nursing profession is the largest occupation in the health care sector and also represents 12% of all American workers. The majority of nurses (60%) are employed in hospitals, but it is anticipated that this will change with health care reform. There is an anticipated increase in the need for nurses in the community setting and in long-term care and outpatient settings. The University of Findlay Diagnostic Medical Sonography Program is committed to providing an intellectually stimulating and challenging environment where competency-based education in sonography is focused on the needs of the patient and intended to produce skilled professionals of the highest caliber. The Diagnostic Medical Sonography Program offers two areas of study with three different degree options: Bachelor of Science, Associate of Arts, and a Certificate Program. Sonography is a diagnostic medical procedure that uses high-frequency sound waves (ultrasound) to produce dynamic visual images of organs, tissues, or blood flow inside the body. The sonography profession requires the ability to provide diagnostic sonographic imaging while utilizing critical-thinking skills to make judgments in the process. Sonographers are professionals who must possess high-level skills in diagnostic sonographic techniques under the guidance of a licensed physician. A sonographer is responsible for providing excellent patient care and gathering adequate data necessary for diagnoses to be determined. • 1,400 clinical hours: Extensive hours of clinical education have been designed to ensure that students meet the professional standards that employers expect. • Just three semesters: The academic portion is during the first semester prior to two semesters of clinical education. Students will spend 40 hours per week in both the academic and clinical portions of the program. • Diverse approach: Students will learn anatomy, pathology, and physics prior to attending clinical education, being better prepared for direct patient care and physician interaction. • Interactive experience: Students will immediately apply new concepts in a lab that has a hands-on setting. • Jobs in demand: Sonography employment is projected to grow 23% from 2016–2026. The median salary for sonographers is about $71,000 per year. A well-balanced college career includes extracurricular involvement as well as classroom and laboratory work. 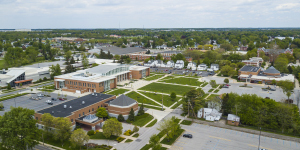 As a Findlay student, you will have many opportunities to join social and honorary fraternities, sororities, and clubs; NCAA Division II athletics and intramural sports; Findlay bands and musical organizations; and a number of honorary societies. 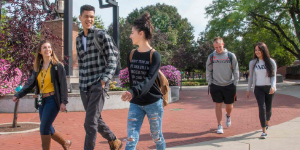 Our students engage in social activities all over campus, participate in broadcasting over Findlay stations, take part in University performances, write for student publications, and enter into all the various extracurricular activities on campus.